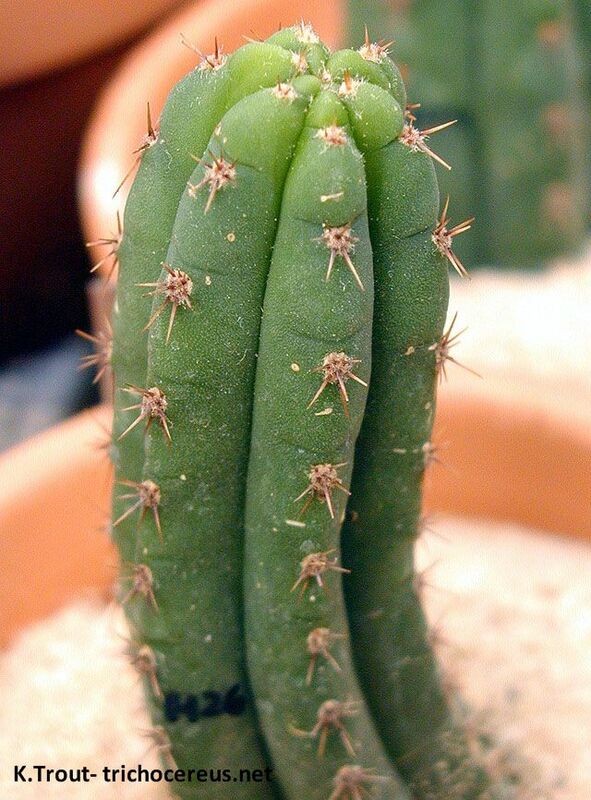 KK340 Trichocereus cuzcoensis is a wild strain collected by Karel Knize. 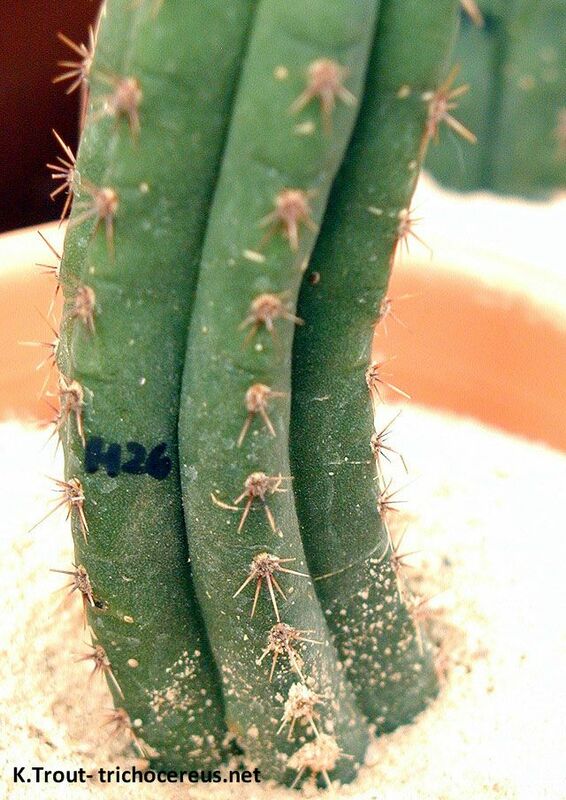 Knize´s numbers stand for regions instead of mother plants, which is why there are various different plants with this field number and not all are the same species. 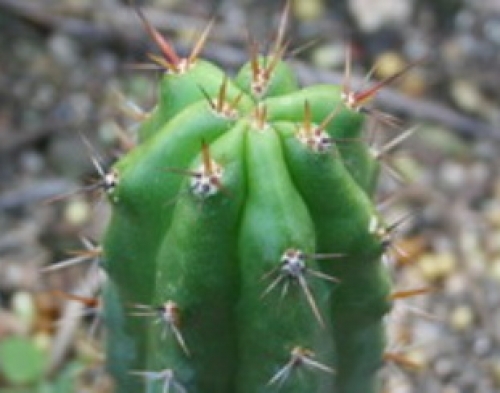 Most ended up to be Trichocereus cuzcoensis, but the photos show that at least some of them are Trichocereus peruvianus or close to it. The first strain was on the 1998 seed list and Karel gave “Area Cuzco” as place of origin. It also turned up on his 1999 seed list as var. cuzcoensis. 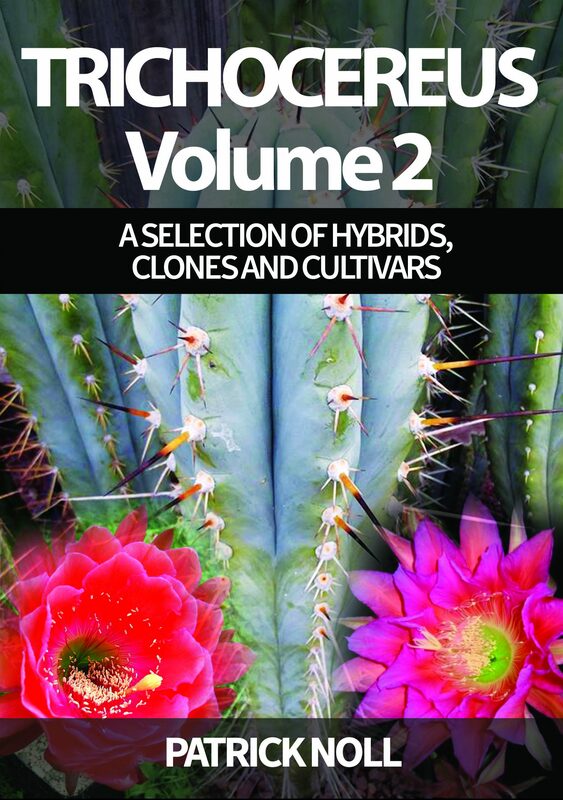 In the year 2000, Knize sold it through his cuttings list. 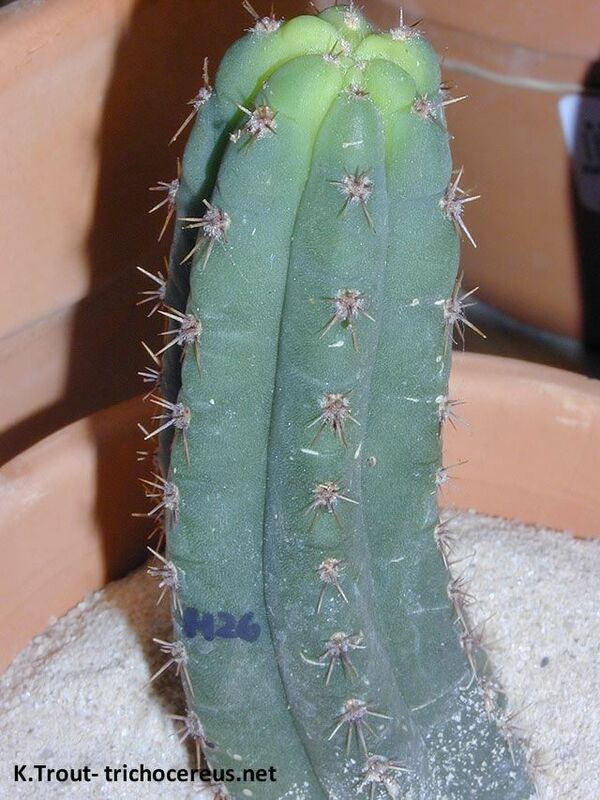 He also sold it as seed and cuttings through his 2004 Seed list with the remarks “Cuzco, Huachac, 3200 meters”. I lack more pics of this plant to say anything for certain. 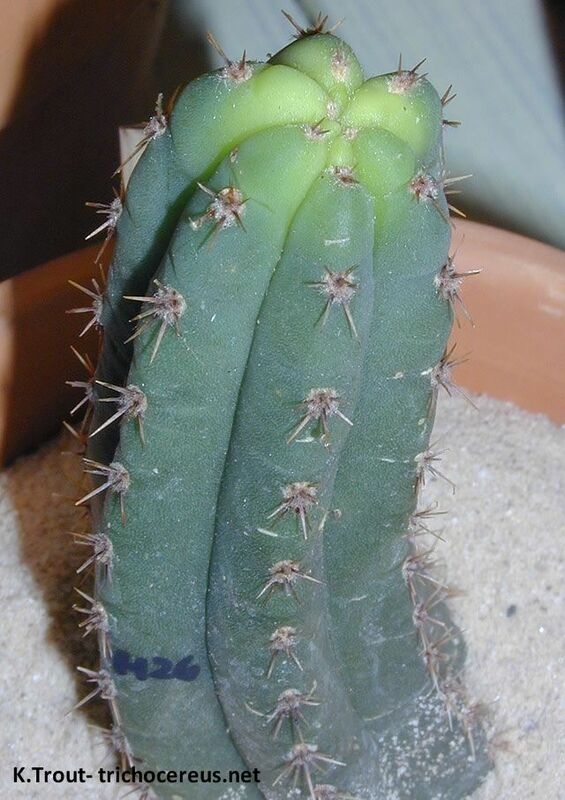 The pics of the relatively small cuttings that Knize sent look like a mix between Trichocereus Cuzcoensis and Trichocereus Peruvianus. There is no real source for seeds or plants, apart from maybe Karel Knize. But everytime I tried buying from him, he let me down and either sent me nothing or dead seed. I always wanted to do business with him but ended up being extremely disappointed and frustrated. Well, but enough of that. 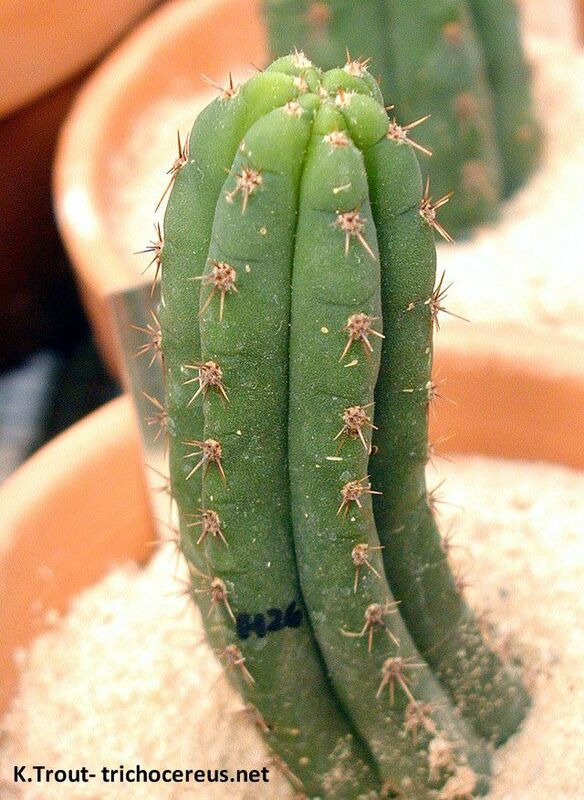 This pic shows KK340 Trichocereus cuzcoensis and is from the Shaman Australis shop. 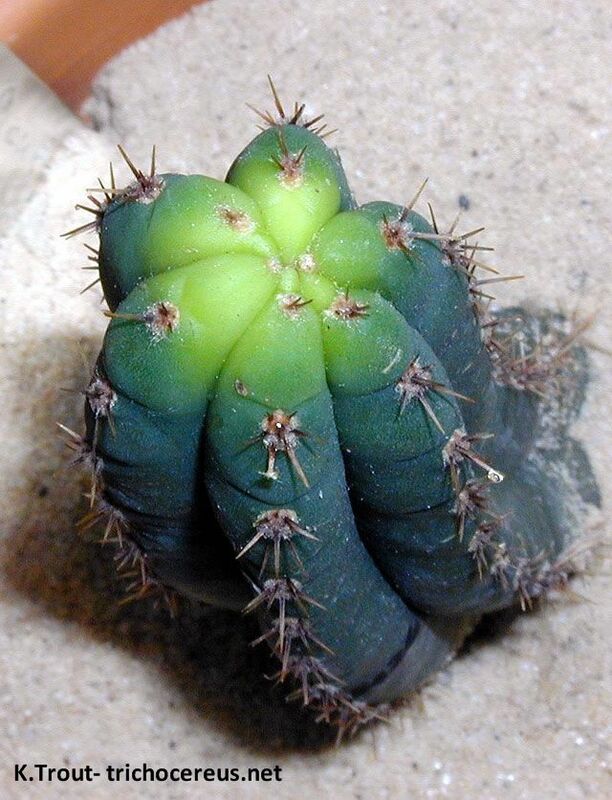 It shows a rather typical Cuzcoensis with a bright green epidermis. The plant is currently out of stock but if you are interested to buy one, maybe send them a message and ask if they will get them again. 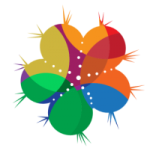 We are working on a Karel Knize Field Guide or database, but I do not know when it´ll be finished. 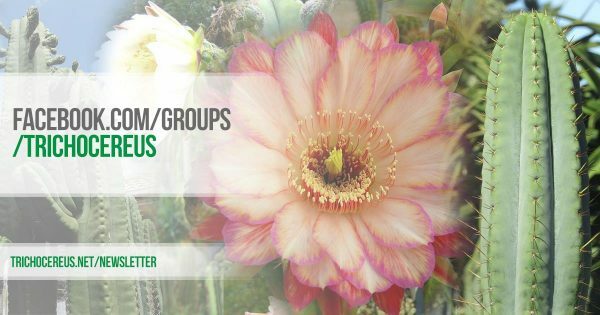 If you have photos of KK plants, please send them over and we´ll include them.